What happens to aviation safety if there aren’t enough people to service aircraft? In the first of a series of articles, Flight Safety Australia looks at the looming shortage of aviation professionals. Aviation is facing a quiet crisis. Its signs are subtle and slow and hidden to most. The crisis is the distinct possibility that in ten years there might be too few people left who can maintain aircraft to a safe standard. The problem is local, national and global. In 2010 the International Civil Aviation Organization, (ICAO) estimated that operating the world’s airlines, charter operators and other aviation businesses would require an additional 350,000 pilots by 2026. Importantly, ICAO estimated that 480,000 more engineers would be needed to deal with the additional 25,000 air transport aircraft expected in service by then. ‘Simply stated, the demand for aviation professionals will exceed supply,’ ICAO said. little awareness by the ‘next generation’ of the variety of aviation careers available. The University of NSW Business School published a report on The Future of Aircraft Maintenance in Australia in October 2015. Based on forecasts made by ICAO in 2010, the report found by 2025 there would be an estimated 30 per cent global workforce shortfall in aircraft maintenance capacity, with Australia and the Asia Pacific region particularly hard hit. ‘Australia has a both a strong need and excellent opportunity to help meet this shortfall in the region,’ the writers said. 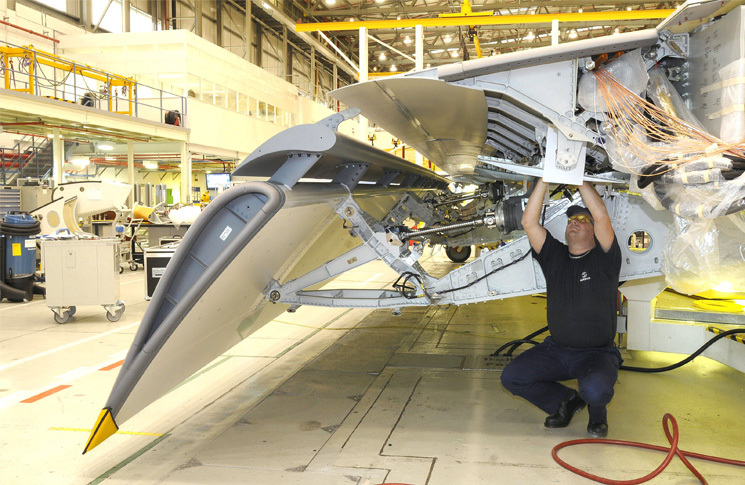 To meet the opportunity Australia would have to move ‘quickly to rebuild both our aircraft maintenance and maintenance training industries by 2020’. The report noted a particular irony. As the labour shortage bites, the result may be boom times, in cash flow, at least, for the aircraft maintenance industry members who survive. ‘Shortages of skilled labour in these regions will necessarily affect both their capacity to take in work from countries like Australia, and the prices they will be able to charge in what will progressively become a seller’s market—as well as potentially the quality of that work. In the medium term, this is bound to mean a compression of the cost differential between performing maintenance in Australia and outsourcing it; eventually it could undermine much of the economic case for offshoring Australian work,’ the authors concluded. A lack of aircraft engineering expertise would be ‘a genuine threat to the safety of (Australian) domestic aviation,’ the authors said. 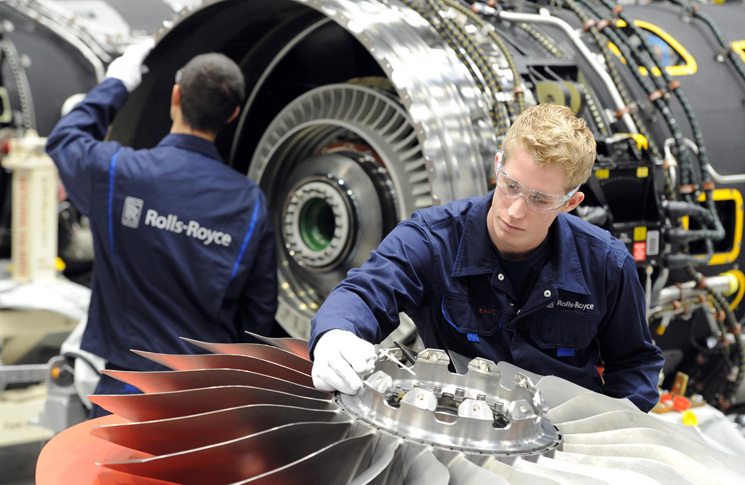 The task of rebuilding national expertise in aircraft maintenance is daunting. The report noted ‘There has been a recent severe decline in training activity and output relative to historical levels’. The number of (maintenance course) commencements over the whole of 2015 was at the lowest level so far this century. The report’s research officer, Doug Fraser, said wastage rates among aircraft engineering trainees were running close to one in three, due to layoffs, dropouts and other causes. However, industry leaders point to money, or the lack of it, as a root cause of the shortage. The business development manager of training provider, Aviation Australia, Paul Jones said, ‘from a money perspective it’s not very attractive, not when you can go to TAFE, become a sparkie (electrician) and earn $150, 000 a year. More recently, Jones said, overseas maintenance organisations, in the Middle East and Asia were taking their pick of young engineers, and were unconcerned by having to pay training bonds, as well as offering very lucrative salary packages. Murphy says aviation as a whole needs to convey a sense of the spirit she has found over her 20 years in the industry. The UNSW report recommended a National Aerospace/Aviation College should be established, with branches in each state and territory. ‘It would draw on the combined resources of the university and TAFE sectors, gain recognition as Part 147 category maintenance training organisation, a registered training organisation and a nationally registered higher education provider,’ the authors said. If CASA ” nanny state” impositions and subsequent cost to the industry especially GA and light sport were not in place perhaps many more aircraft would be flying and need to be maintained? Lets see CASA introduced the new part 66 license in 2011, and then tried to stop the old system of gaining a licence by sitting CASA basic exams, ( a system which had worked well for a long time ). And now we are heading for a shortage of quality trained engineers and we only have half the people in training we had in 2011. Seems to me the new system isnt working. The new way is complicated and expensive and does nothing to improve the quality of engineers or safety. Lets see if they wake up and do something to help or just lower the standard again and give anyone a license. Umm, pretty much all the short falls in aviation maintence engineering are because of CASA. We adopted a European system however Europe does not even recognise CASA maintenance engineering licenses. CASA almost shut down the ‘basics’ system for licencing until they realised, at the last minute that that was not a good idea. This left some AMEs in limbo with some having already signed up to the expensive diploma route. I find it incredible that they published this article. CASA has ruined engineering licensing by making it incredibly expensive for individuals and in some cases impossible at this point (helicopter OJT). Good job CASA. Too many people directly out of Defence making decisions in that place. Everyone is too busy trying to be the next safety or quality guy, trying to reinvent SMS. How about concentrating on front line skills and trade knowledge. Looks like we going to have a lot more Coffee. Wake up CASA were are You ???? And further to Linton(above) a good example is my experience. Got out of the military in 1985, and because my apprenticeship had been overseen and acredited by the then Sydney Technical College I was credited with all my basics, as well as a civilian Trade Cert, except Engine and Airframe electrical and AA. Which I thought was fair enough. Within 12 months I had completed these as well as self manged CASA Engine and Airframe Type exams (held at the local aeroclub) for hydraulic and electric undercarraige, as well as the associated injected, turbocharged engines. Congrats- here’s your Grp 1&5 Airframe and your 1&3 Engines. The apprentices working for this Cairns based operation did much the same thing. And there were a few of them. Now we have a situation, as Linton points out, where this would be not economically or logistically feasible. I suspect if I was to be getting out of the Navy now, my only employment prospect would be CASA, a 147 organisation, a Safety Systems manager somewhere or, as some do if they have a pension, work for a civilian/military contractor in Brisbane working on the same helicopters, who “adjusts” your wage to account for your pension.